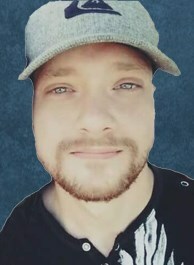 Jonathan James Campbell, 32, of Burley Idaho, passed away October 24, 2018 at home in Burley. Jonathan is survived by his mother Carol Campbell and father Johnny Campbell, his sister Danielle Campbell, and brothers Brad and Dion Campbell; his partner Courtney Breach and sister Rachael Campbell. Jonathan was loyal and loving and made everyone laugh; he truly loved his work family at Packaging Specialties Inc. A viewing for family and friends will be held from 6:00 to 8:00 p.m. Saturday, November 3, 2018 at Joel Heward Hansen Mortuary.